How do you know when your outdoor lighting is beyond repair? Frequently I am called out to do a service call on existing outdoor lighting. We’re happy to service any lighting system – even if it’s not ours. Not only do people call us for help when their fixtures are in dire straits, they also frequently reach out to us about constantly maintaining their outdoor lighting system. People call us for those things all the time. 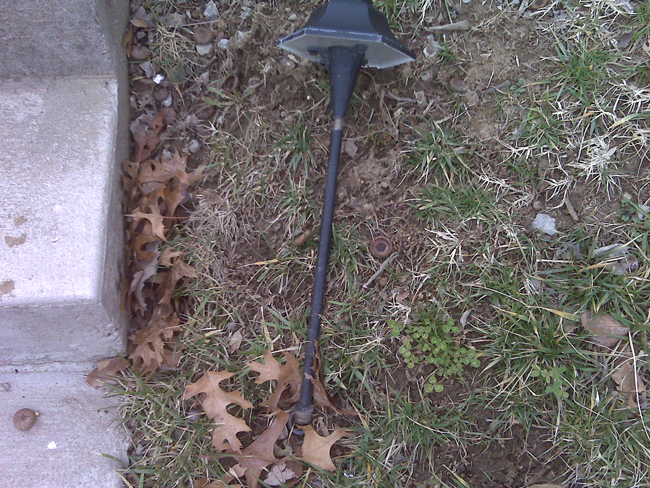 Since there are poorly manufactured lights in circulation, it is inevitable to find fixtures lying on the ground. We can’t do anything about broken fixtures but we often can fix other problems, whether it be a blown bulb or poor socket performance. Surprisingly, these outdoor lighting “face-lifts” are inexpensive and put a lot of life back into your system. The picture is a great example of a poorly manufactured fixture that is beyond repair. 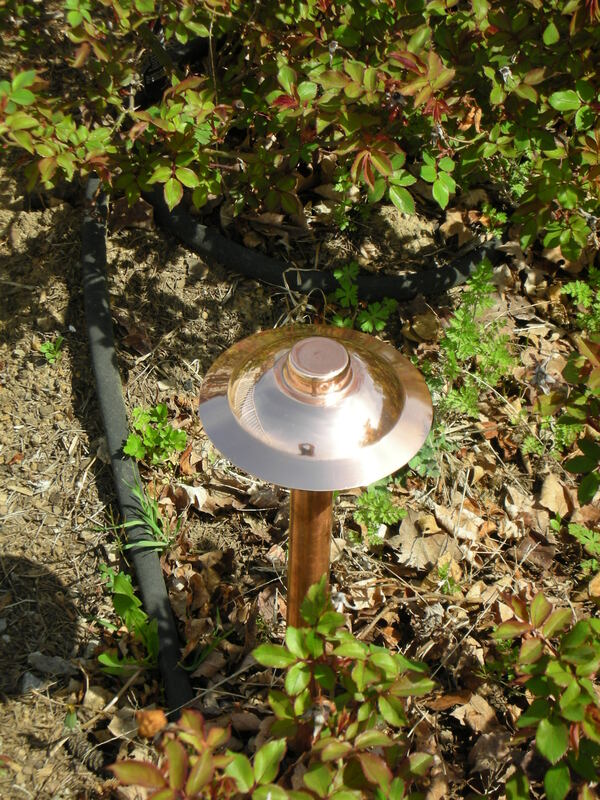 Our path lights are made of solid copper. Yes, this is the crème de la crème of lighting materials. In Nashville, we are both the manufacturer and the local franchise. However with 50+ franchises around the country, these fixtures are not as unattainable as you might think. We use copper because it is maintenance free and can endure all weather conditions. Copper naturally oxidizes. This patina process provides a natural barrier to the elements. The facts are aluminum deteriorates with corrosion, brass pits without periodic polishing, and stainless steel, believe it or not, stains. Copper simply stabilizes as it ages. We are happy to give an honest assessment of whether or not your system is beyond repair. Our goal is to see if the system is serviceable. If so, we service it. We are also professional lighting designers so we will always provide you with our honest feedback and design ideas. Before you throw good money after bad, call a professional experienced lighting company. This entry was posted in Commercial outdoor lighting and tagged broken lights, broken path lights, Commercial outdoor lighting, lighting service, servicing existing systems by John Groce. Bookmark the permalink.